The upcoming Groups feature allows you to group your games and apps how you want. 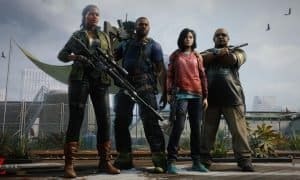 After adding variable refresh rates, 1440p resolution support, and an auto low latency mode for the Xbox One earlier this month, the company has its sights set on even higher refresh rates and more new features in the May Xbox Update. Those of you with monitors or TVs that support 120Hz refresh rates, which allows for even smoother gameplay, will be able to enable it when gaming at 1080p or 1440p (sorry 4K gamers) once the update hits. A more interesting new feature coming is called Groups. At first, it sounds like something akin to Clubs or LFG but in fact, it has an entirely different purpose. The upcoming Groups feature allows you to group your games and apps how you want. 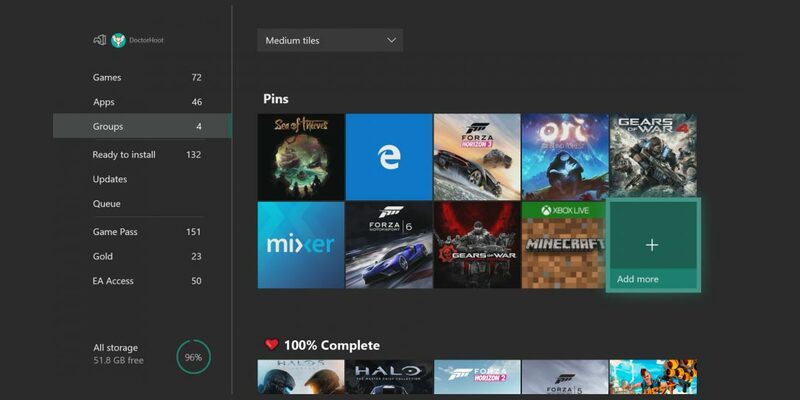 For example, your Pins could be one group (which Xbox has set up as a default Group for testers) and you could have another for games you’ve completed, specific types of games, or anything else you can think of needing a collection for. Parental controls is another feature that is very important to gamers with families. While Xbox does offer up parental controls and family settings, they are currently a bit tricky to navigate. To help make things easier, Xbox is adding a details page so parents can tell which family and content settings are configured for their kids. 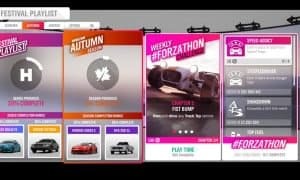 Other new features that are being tested for the May Xbox Update including trimming video clips directly from the guide, improvements to the Xbox Accessories app, and some changes to button commands in the Xbox dashboard. These new features will be rolling out for further testing to Xbox Insiders over the next while, as well as some undisclosed experimental features to a small subset of those in the Insider program. As for the Groups feature, only a subset of those on the Alpha Ring will get it while Xbox gauges interest in the feature. Barring any major bugs, these features should be rolling out to all users at some point in May. What do you think about the new features coming to the Xbox One? Let us know in the comments below or on Google+, Twitter, or Facebook.